I need sunshine, on a grey grey day. Today dawned bright, warm and sunny. Now the winter's reclaimed the day, with grey cold clouds hanging low over London, turning the bright cityscape into something drab and depressing. Still, there are bright and colourful things out there, and services like LJ and Flickr make them easy to share with the world. 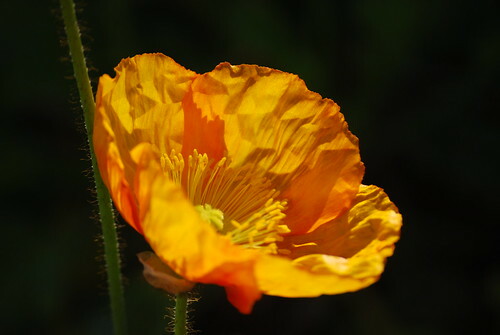 In that very spirit, here is a splash of the bright bright orange of a California poppy.